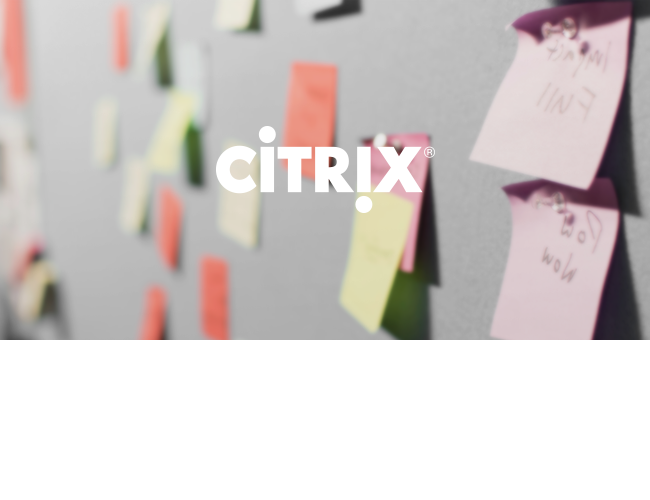 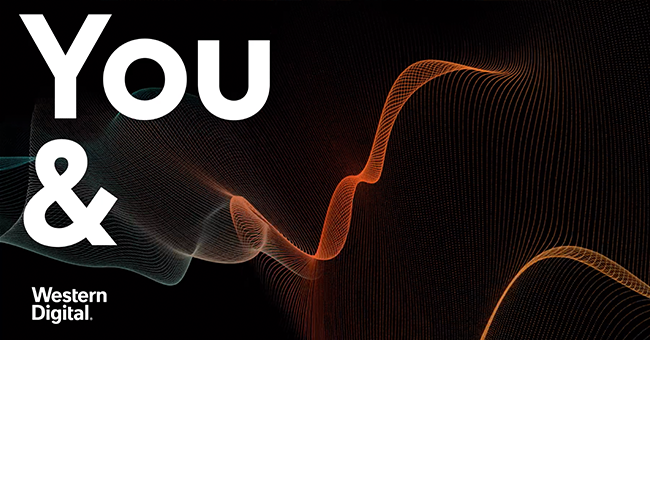 Improving business performance in the digital age. 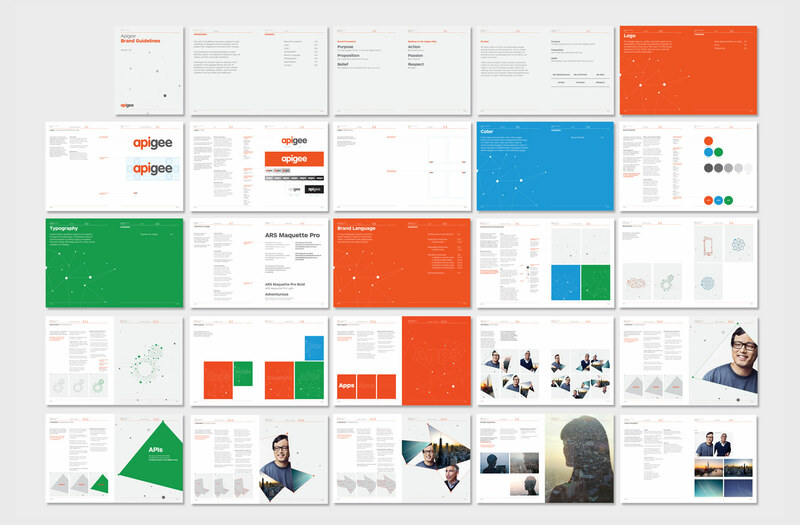 Creating a visual identity system for a startup that’s getting ready to IPO. 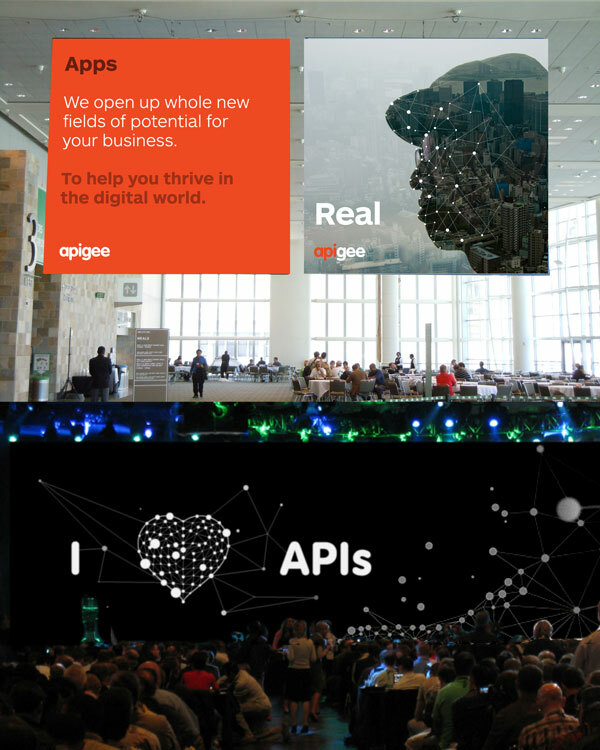 Apigee’s business was on fire, but the basic brand elements they started with were no longer holding up to their evolving business and resulting communication needs. 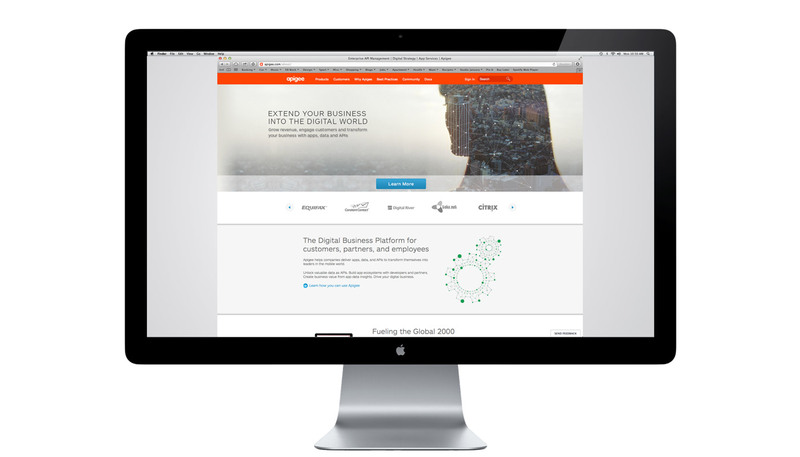 Their target audiences were also shifting from coders to business leaders. 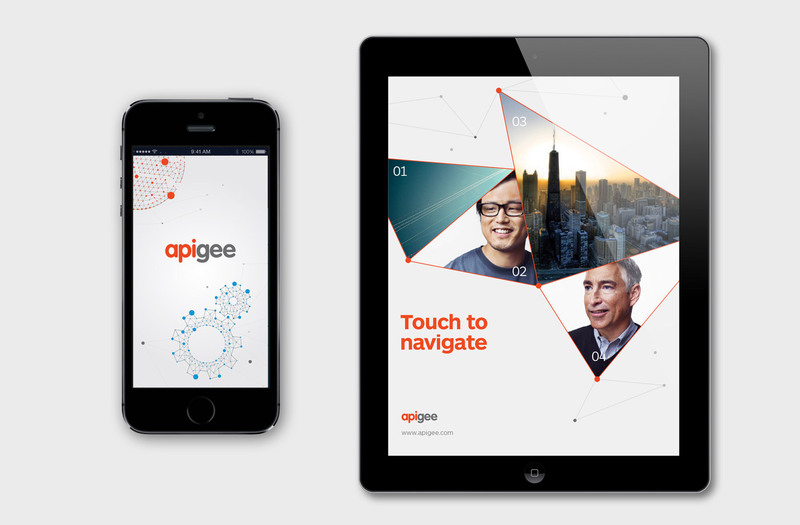 Apigee wanted a visual language that was distinctive and could quickly convey who they were and why they mattered. 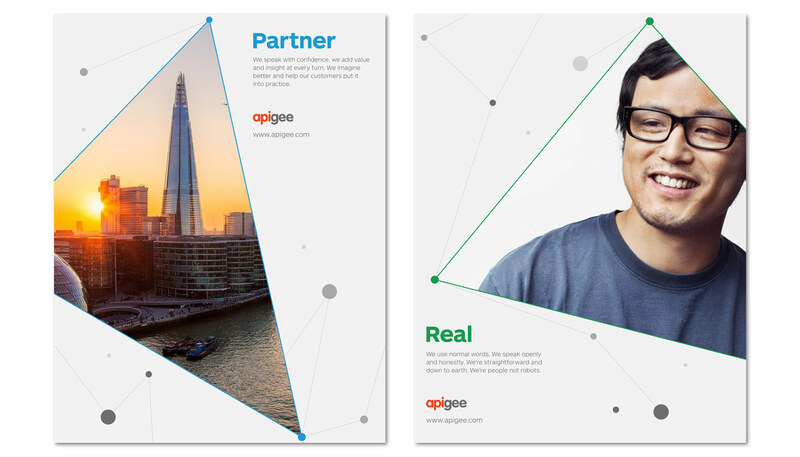 Our team explored the concept of Apigee as a transformer, helping businesses shift from complex to simple; limited to unending; unconnected to connected; outdated to leading edge; inactive to proactive and follower to leader. 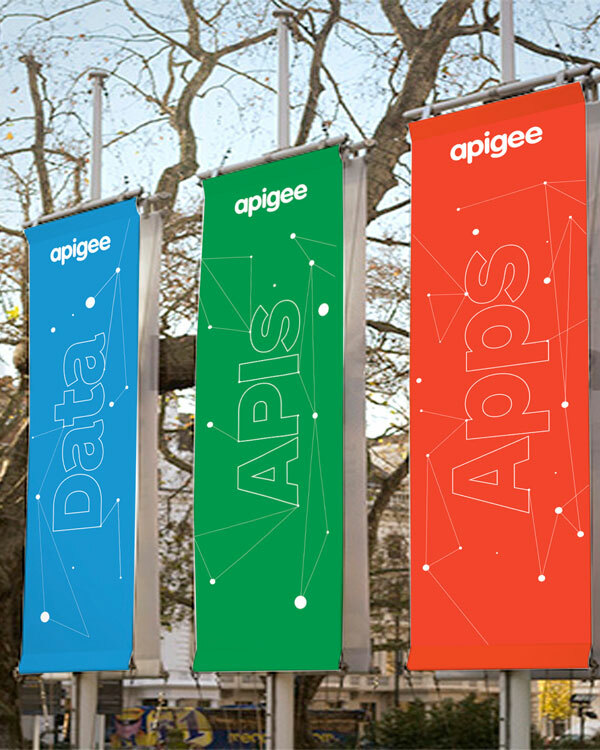 The dynamic visual language represents the ways in which Apigee helps customers transform and improve their performance in the digital age. 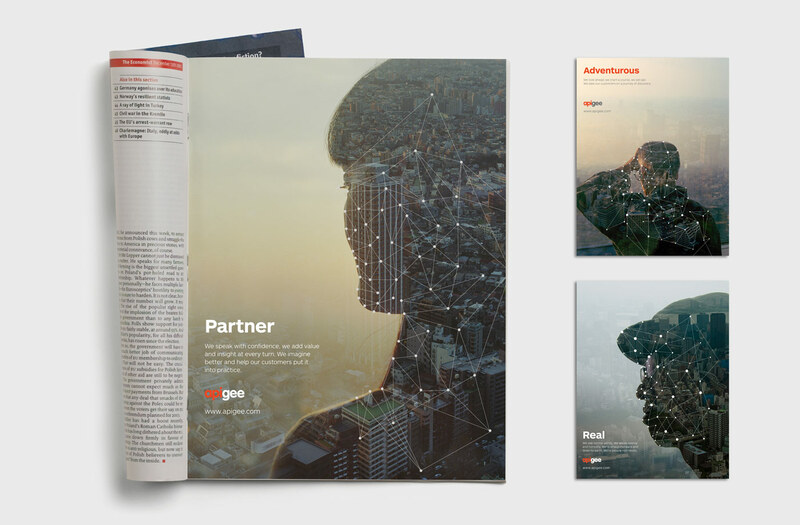 The Apigee visual identity system is about limitless potential and flexibility, while delivering tangible results to customers. 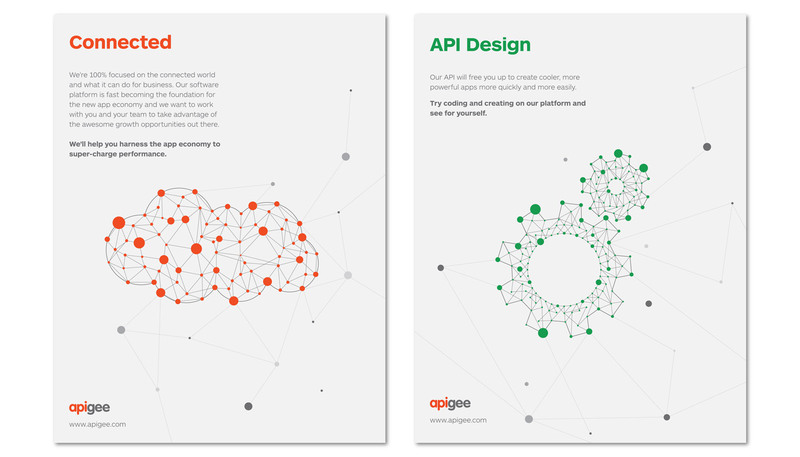 The evolving constellations reveal static messages and images around Data, Apps and API’s.